a family of dancers, Cushla and husband Ian teach at her parents’ large Christchurch dance studio when in New Zealand, as well as in their home city of Sydney at Chatswood Dance Centre in Sydney’s north shore. Cushla and Ian are professional dancers and Australian Finalists at professional level. Cushla has the distinguished accolades of having won New Zealand National Open Championships in all 3 styles of Latin American, Standard, and New Vogue. She is also a level 2/Licentiate qualified adjudicator and coach in all 3 styles. 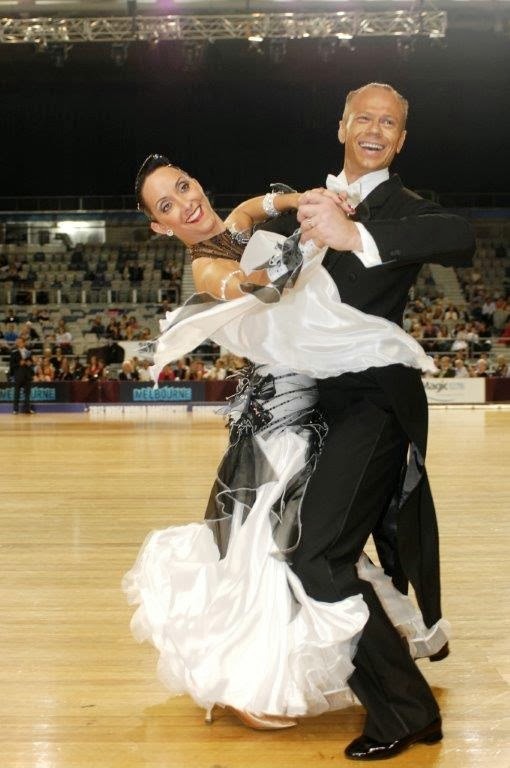 Internationally, Cushla is a 5 times New Zealand Professional Latin American Representative to World Championships in South Africa, Germany, Australia, France and Japan. It is no surprise, then, that Cushla was appointed to judge Series 3 of the ABC’s Strictly Dancing television show. Administratively, Cushla is an Executive Officer of DanceSport NSW, making a valuable contribution to the promotion of DanceSport here and abroad. Cushla’s professional coaches include the eminent Carol Kimmins, Loraine Barry, and Peter Todd. Cushla and husband Ian accept private students for dance tuition and conduct group lessons in all 3 styles, and can be contacted through Chatswood Dance Studio in Sydney.